Aiming for IBPS Clerk 2018 Recruitment? 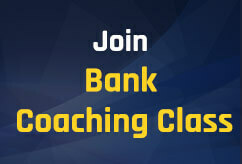 Then don't miss out to practice with the latest pattern based Mocks and Previous Years' Papers of IBPS Clerk Prelims examination All Banking Aspirants now have a brilliant opportunity to get into a Public Sector Bank of India in Clerical cadre by cracking this year's IBPS CLERK 2018 Recruitment Examination. Adda247 brings to you the 20+ IBPS Clerk Prelims 2018 Mock Papers Book in Hindi. You all have plenty of time to prepare but no time to waste. You should not wait for the official notification to be out, you should start now instead. Practice is the only key to your success. Practicing well with the best material will lead you closer to your selection. 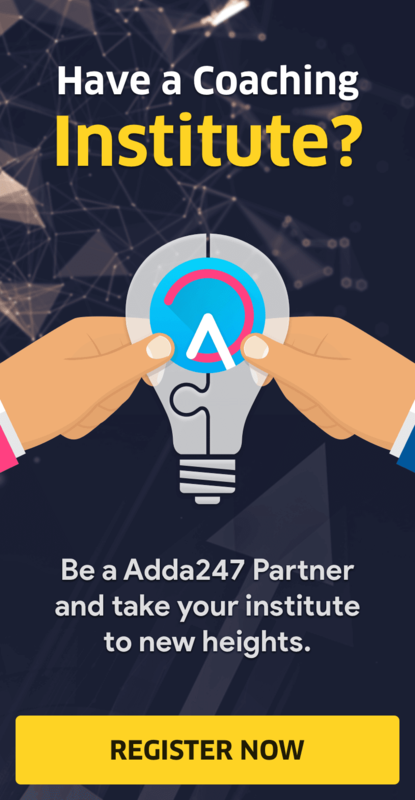 To help you prepare according to the latest pattern questions, Adda247 brings to you 20+ IBPS CLERK Prelims 2018: Mock Test Papers HINDI EDITION that incorporates mock papers that you need to practice to crack this exam. 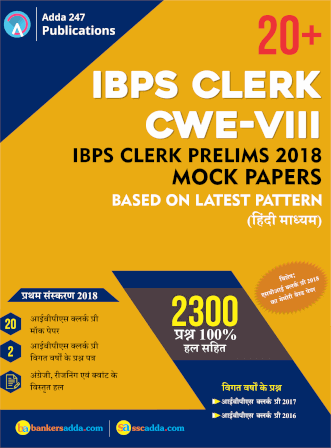 It provides previous year papers of 2016 and 2017 along with 20 mock papers for IBPS CLERK Prelims 2018 examination. Practicing with all the questions and mocks provided in the book ensures your success in the upcoming exams of IBPS CLERK Examination because it covers everything from basics to the highest level one can go to while preparing for these exams. The mocks in this book are different from Adda247 online test series for IBPS CLERK. All the tests are based on the latest pattern and covers all levels of difficulty.